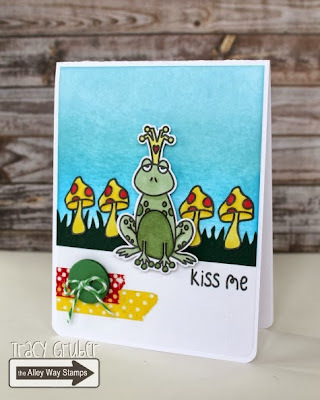 The Alley Way Stamps: Thursday Inspiration! Freebie Wednesday got pushed to Thursday since we had all of the fantastic projects recapping on the blog yesterday! You can find one new exclusive TAWS digital image and one sentiment HERE! We can't wait to see what you create with them! Here's Christine, playing around with the Freebie. Unfortunately the picture doesn't show it well, but (apart from the alpha-stickers) this is a one-layer card. I cut the top of the flower out before I folded the card. Hey there! 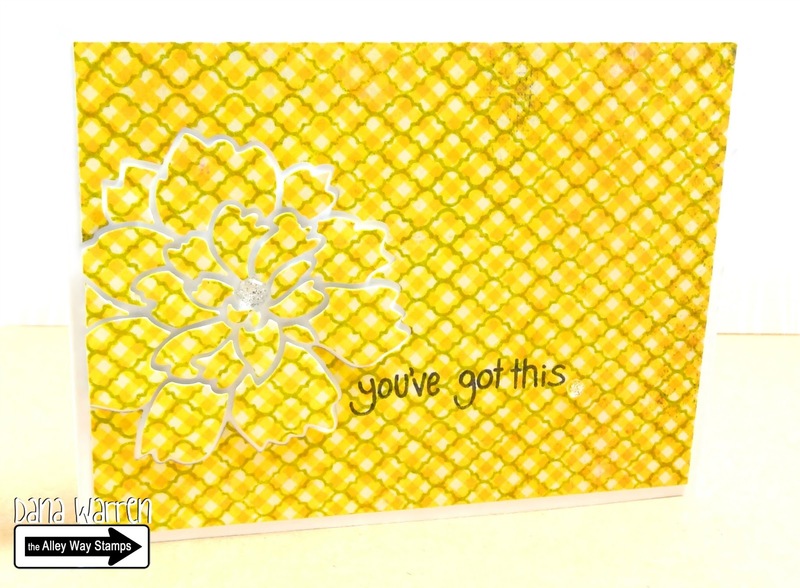 Dana here and today i'm sharing a card using Bitty Borders!! 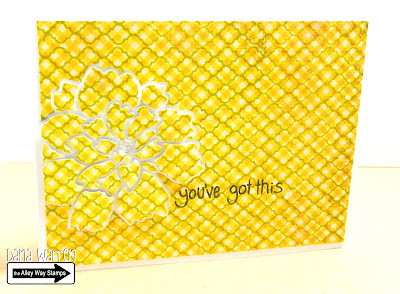 I'm playing over at The Runway Inspired Challenge and to match colors i used pattern paper, stamps and ink! Check out my blog for the details!! Hello! It's Tracy here and I used the new Enchanted set on my card! A Distress Ink background with some washi tape and a button really make those stamped images come to life! Hello, it's N@ Ali here with a quick card using Flower Doodles and Gabfest. I stamped the flower with two different colors (one on top of each other) and I was pleasantly surprised with the result! Cute cards today, as always! I don't see the freebie that was used on the card here? Did you put up January's freebie? Thanks for the great freebie images! Brad Storage Idea & BE Inspired Reminder!!! It All Started With A Kiss! BE Inspired Blog + a video! Pastels Colors + Flower Doodles! You've Got Swag... and the Celebration Continues! Come and Celebrate with us!!!! Let's BE Inspired! & Make a Tree?? ?